Street Fighter III: New Generation (ストリートファイターⅢ NEW GENERATION?) is a fighting game in Capcom's Street Fighter series, originally released as coin-operated arcade game in 1997. Street Fighter III was produced for the CD-ROM-based CP System III hardware, which allowed for more elaborate 2D graphics than the CPS II-based Street Fighter Alpha games (the previous incarnation of the Street Fighter series), while revamping many of the play mechanics. 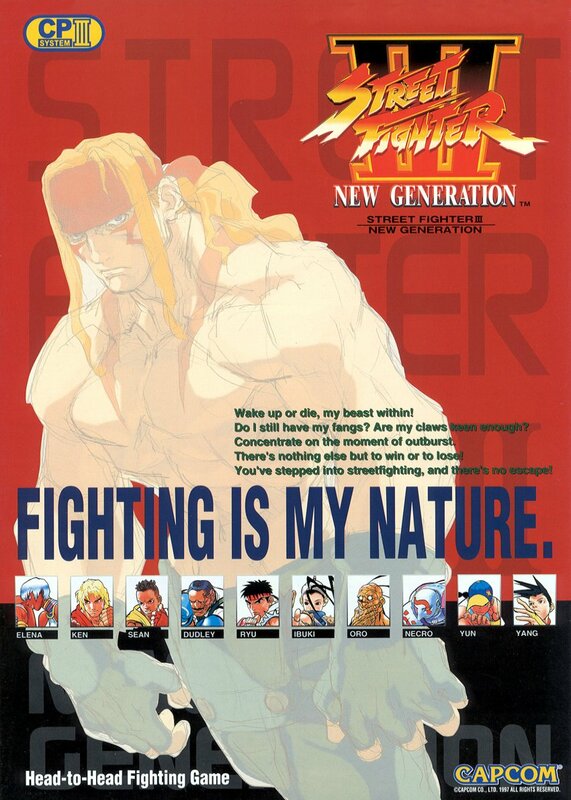 The game, which was designed as a direct sequel to Street Fighter II, initially discarded every previous character except for Ryu and Ken (hence the "New Generation" subtitle), introducing an all new character roster led by Alex. Likewise, a new antagonist named Gill took over M. Bison's role from the previous games as the new boss character.